It might not have the tofu cubes or pork, but damn, I love my bak kut teh soup, which is the darker soy sauce one. 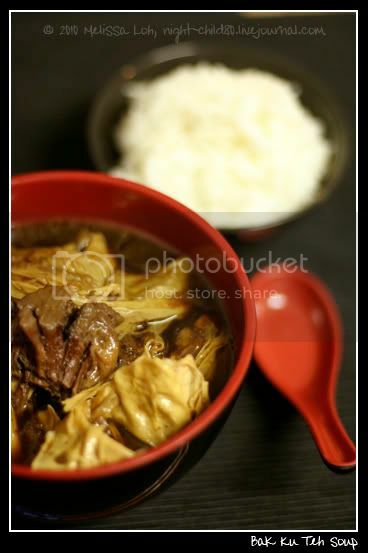 Beef cheeks, garlic, tofu skin and spices, all simmered in a warm comforting ocean of flavour. I'll have to hunt for a peppery one next. Made even better when served with hot steaming rice or noodles. Yum yum!